Scroll to the bottom to enter the $100 JORD Giveaway. It’s important to me that I only review products and brands that I would use and wear. I’m so excited to finally be able to wear such a piece of art. There are many options when putting together the perfect outfit. 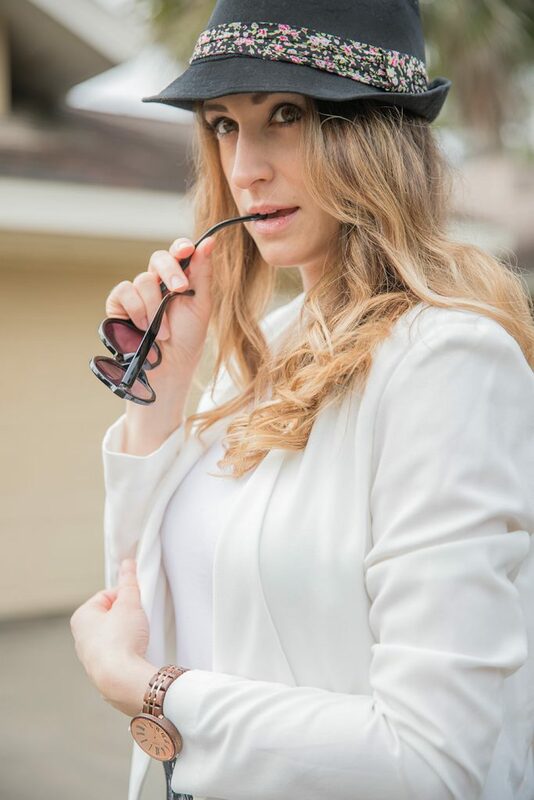 Whether it’s a plethora of colors or a floral print paired with a nice light jacket, your outfit will be ready for Spring in no time! 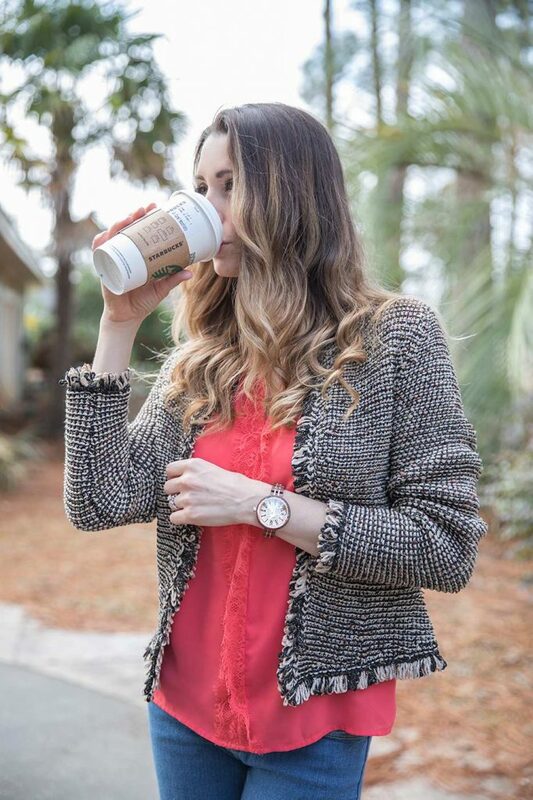 I’m a big fan of layering, I believe it takes your outfit from drab to fab in minutes. 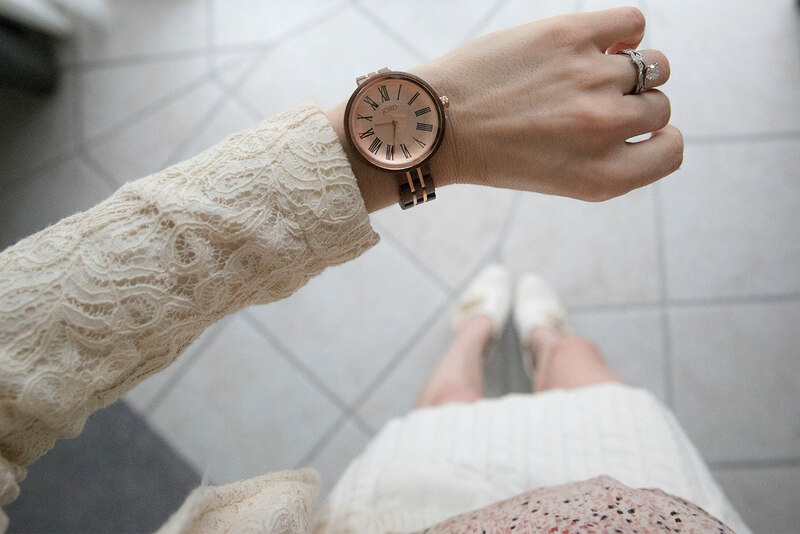 I also love accessorizing, you can really make a look stand out with a necklace, a pair of great earrings and some cute shoes, but nothing beats an elegant watch. It’s an accessory piece that really gets its mileage because it’s so versatile and can be dressed up or down. 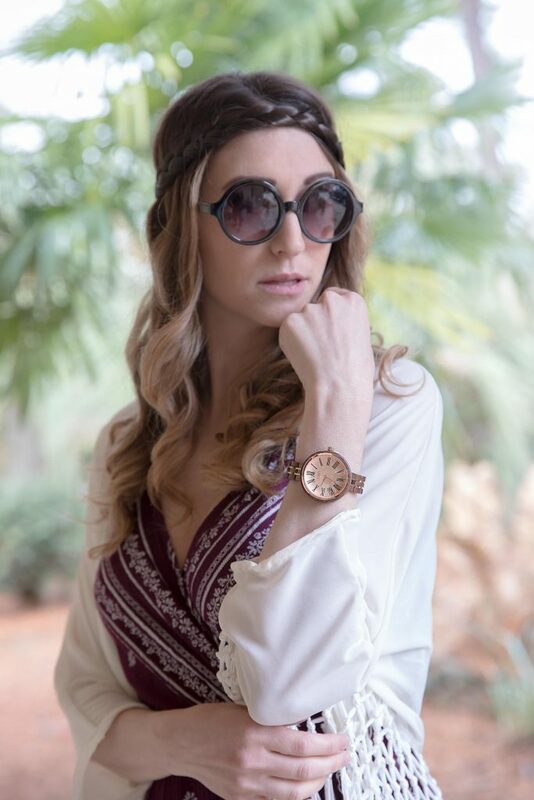 Unlike earrings and bracelets that have to be coordinated, a stunning timepiece can compliment every outfit and add a touch of class and sophistication. When my JORD watch arrived I was blown away! It came in a beautiful wooden display box engraved with their logo along with the following contents: finishing oil (to keep it fresh), a cleaning cloth, and even extra links. There’s a small drawer on the lower portion of the box to store everything (man, they think of everything)! The attention to detail, not only in the actual piece, but also presentation of the watch is something that I believe to be admirable. It is hard to go wrong with melon tones in the Spring time, they’re fresh, bright and fun. A pair of skinny jeans with a light jacket looks great, adds comfort, and keeps away the chill when the weather isn’t completely warm yet. Wear flats for a casual look or a pair of pointy heels to dress it up. 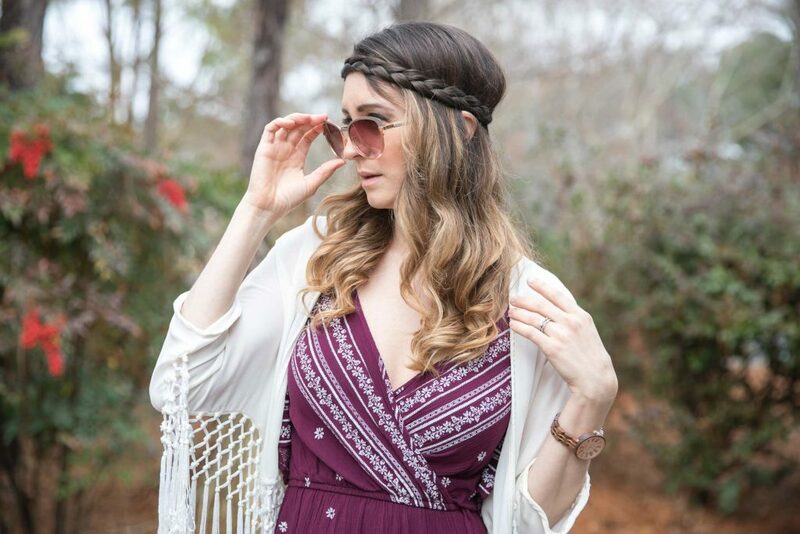 Dresses are perfect in the Spring. 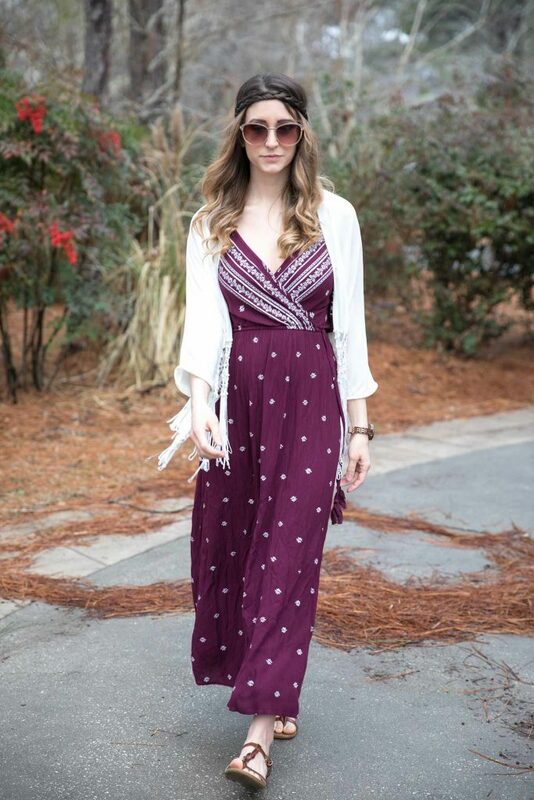 A pair of strappy sandals with a flowy coverup pulls the look together. Spruce up your hair by adding a soft braid. Warmer temps mean a chance to show off a little leg. 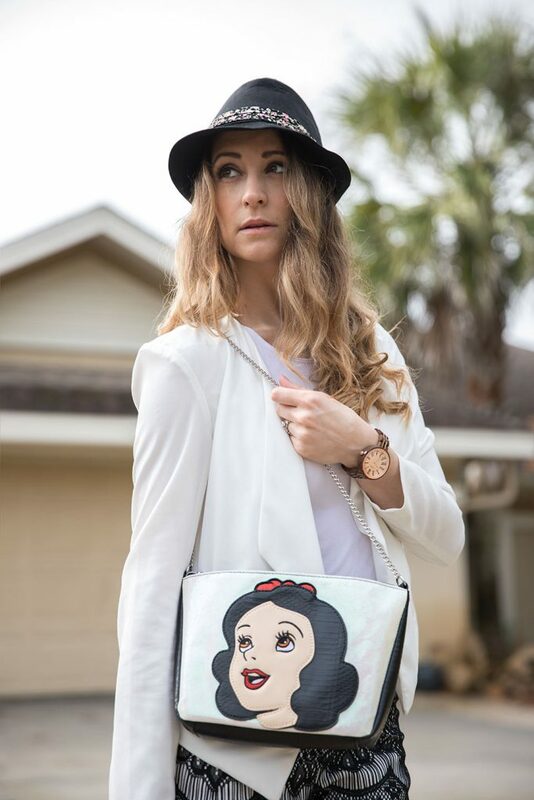 White is always a classy look and paired with a statement purse, you will have all the heads turning. 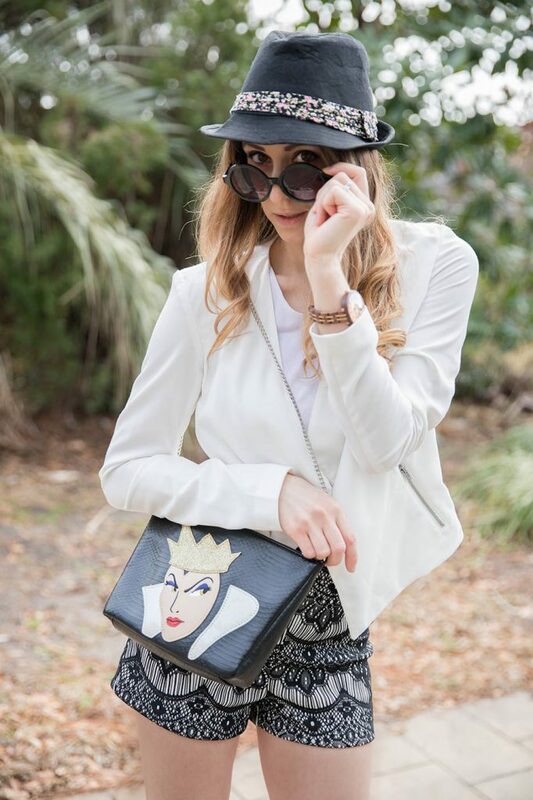 This Disney purse is double sided, featuring Snow White on one side and the Evil Queen on the other. Giving you a chance to rock your softer or inner edgy side. There’s nothing that makes me happier than pulling out all my light airy tones for the Spring. A sleeveless pastel tank with a cute skirt, topped with a lace blazer makes this look both vintage and stylish. A pair of booties and a cute clutch complete the look of sophistication. 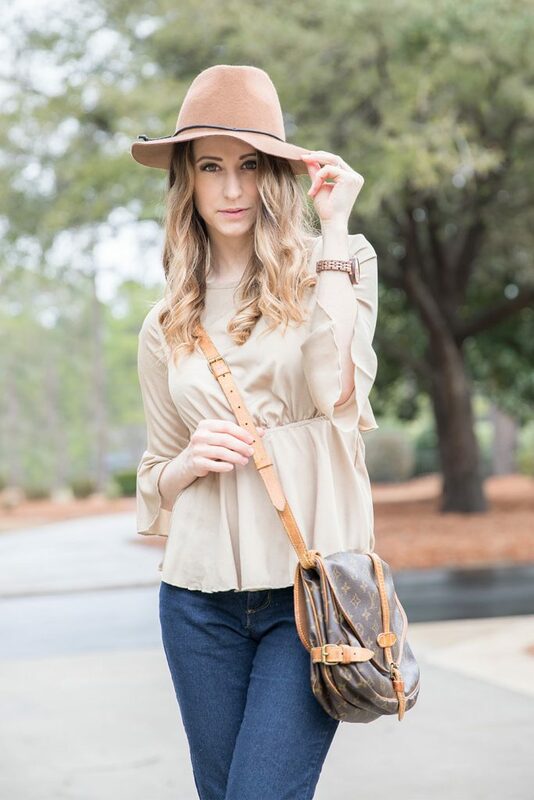 Beige top with jeans and a cute hat: you can’t go wrong with neutrals. I’m a huge fan of beige tones and this tops open back gives you a flirty edge. Hats can be added as a different look! Its amazing just how versatile my JORD watch is, as you can see from the looks I’ve pulled together, there are so many ways you can mix up. 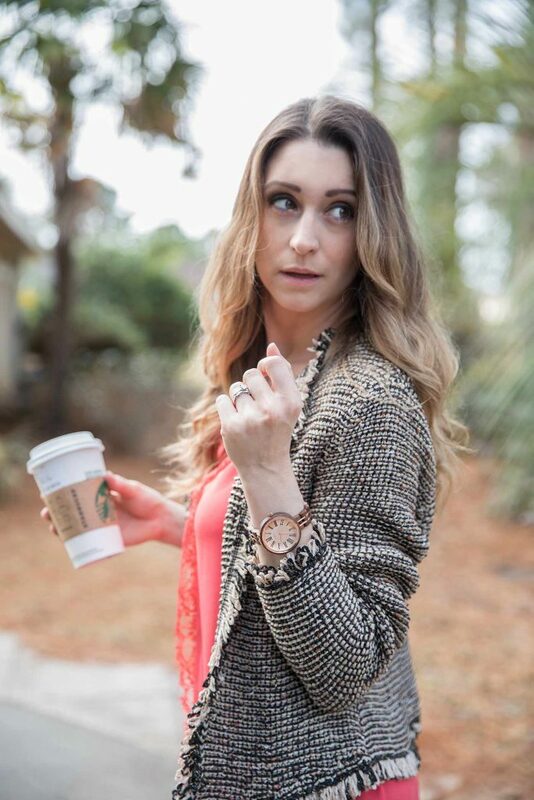 From flower child to sophisticated working woman, you can be sure your watch will mesh with whatever your wardrobe has to offer. It’s a timepiece that is completely timeless, and I would recommend it to anyone. This would make a perfect gift and will make quite the impression. 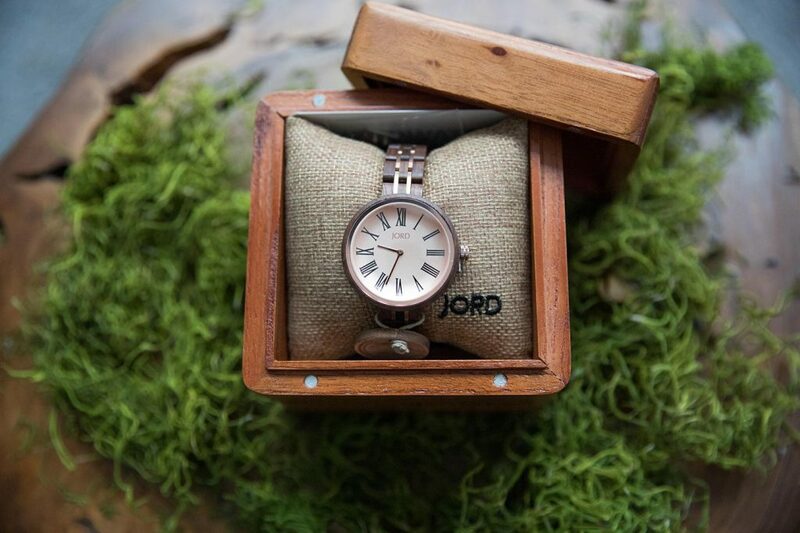 What I love most about JORD watches is that they’re affordable and the quality of their watches is second to none. If you love my watch, you’re in luck! JORD is giving me $100 to give to one of my lucky readers! That $100 can be applied to any watch of your choice! Mother’s Day and Father’s Day will be here before you know and these watches make wonderful gifts! 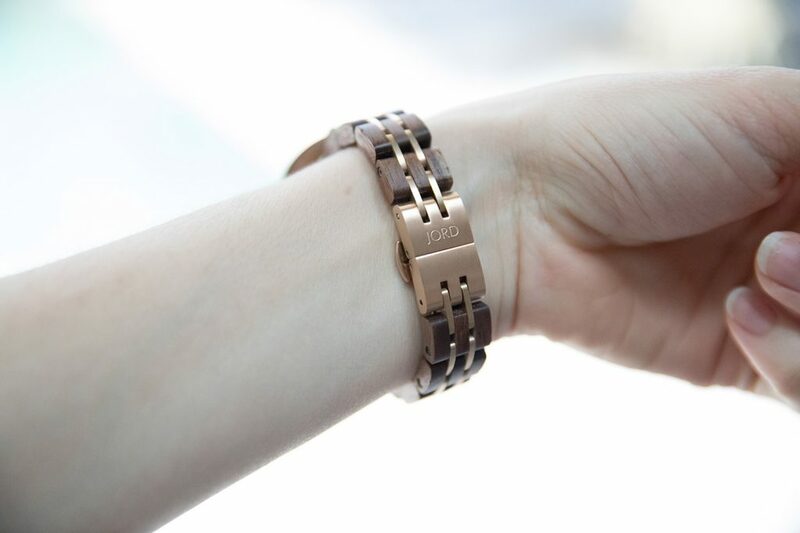 Each timepiece comes with a one-year warranty and information to keep your watch looking great. 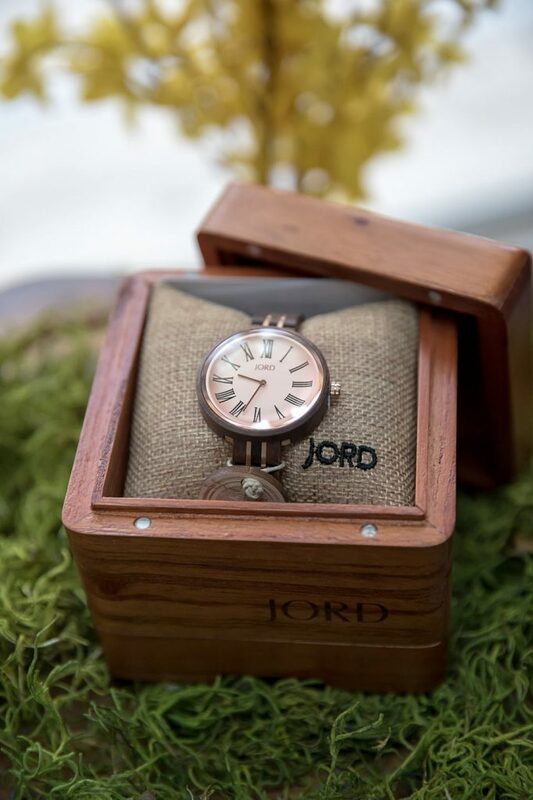 JORD offers customized watch engraving and watch box engraving, to make your timepiece even more special. Also, they have customized watch sizing available for an extra $10. Plus that watch is so lovely!! All the outfits are beautiful, and the watch is lovely. Things aren’t always black and white fashionista is my personal fave! So ready for Spring, sadly more cold weather to come to the UK next week but hoping for better after that! 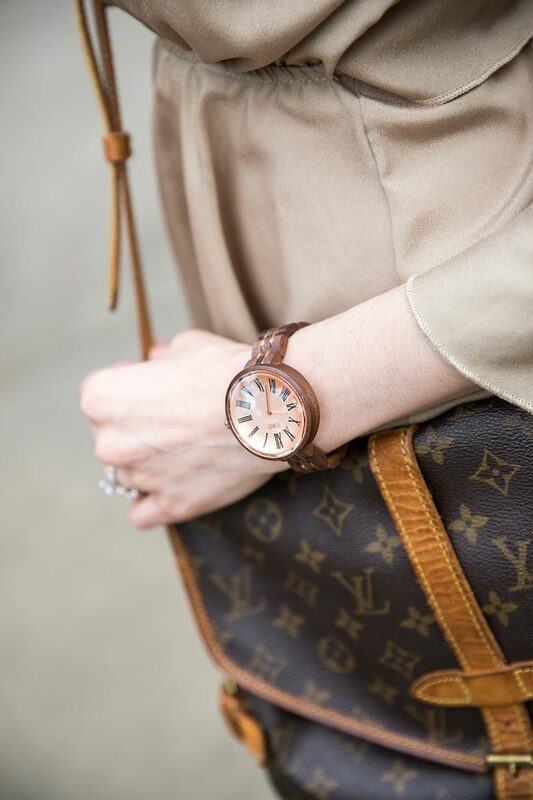 I love the rustic feel of the wooden watch, but it still goes perfectly with every single outfit you paired it with. 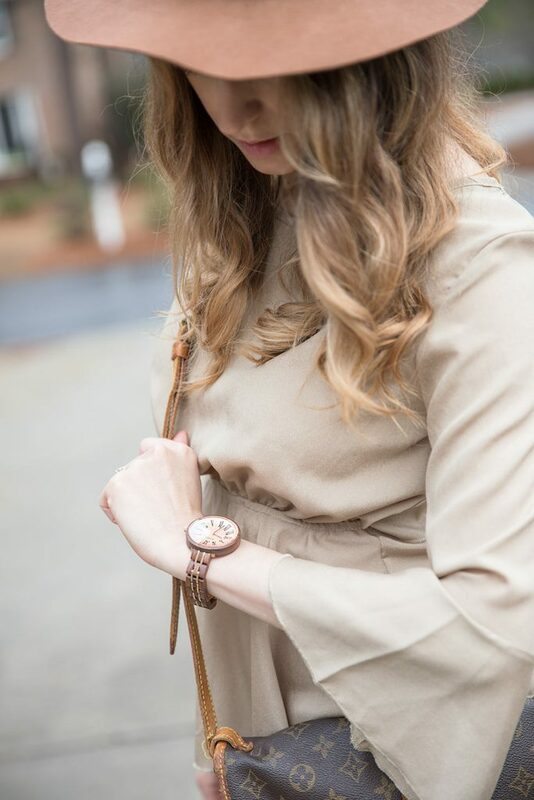 Watches can be such a great accessory and –as someone who isn’t too into jewelry– a watch it one of the only pieces I wear whenever I want to feel more put together or dressy. I love how you have styled the watch! I always love how watches look but I hate wearing things on my wrists! I don’t even wear bracelets anymore I get so annoyed! That wood certainly looks great with more natural tones! It’s lovely.